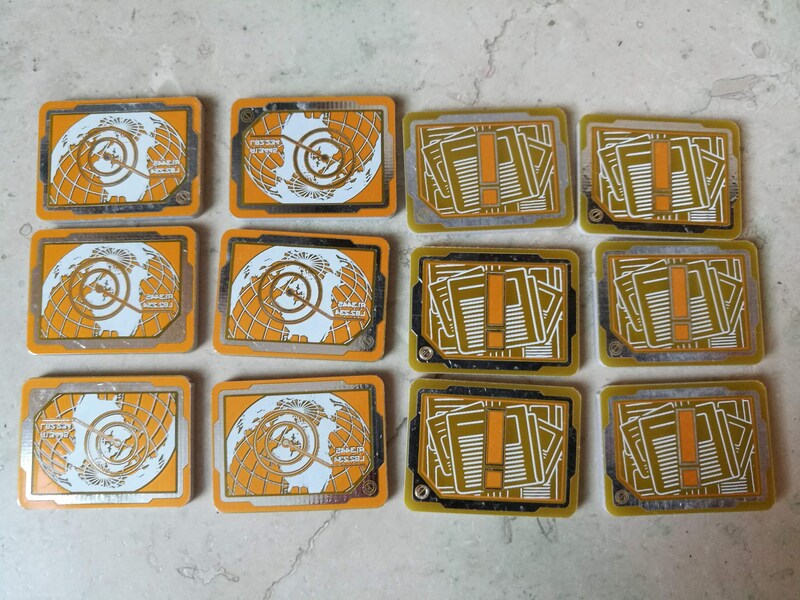 A new set of Premium PCB Bad Publicity / Tags tokens! Bad Pub on one side, Tags on the other. Familiar sizes make sure you're comfortable using something new during play, but shiny metal with an electronic circuit board design make your game stand out among the rest. These are built to LAST! They will certainly not fray or fade like the cardboard ones and will definitely stand up to a very very long play life. Designed for use with the KeyForge by Fantasy Flight Publishing Inc. Aurbits is not affiliated with Fantasy Flight Publishing Inc. and they do not endorse these products. Original designs by David Schuttenhelm and produced by Miles Aurbeck at Aurbits. It's best to avoid using them with sweaty greasy hands - if you do, wipe them down with alcohol wipes or something to keep them from tarnishing. 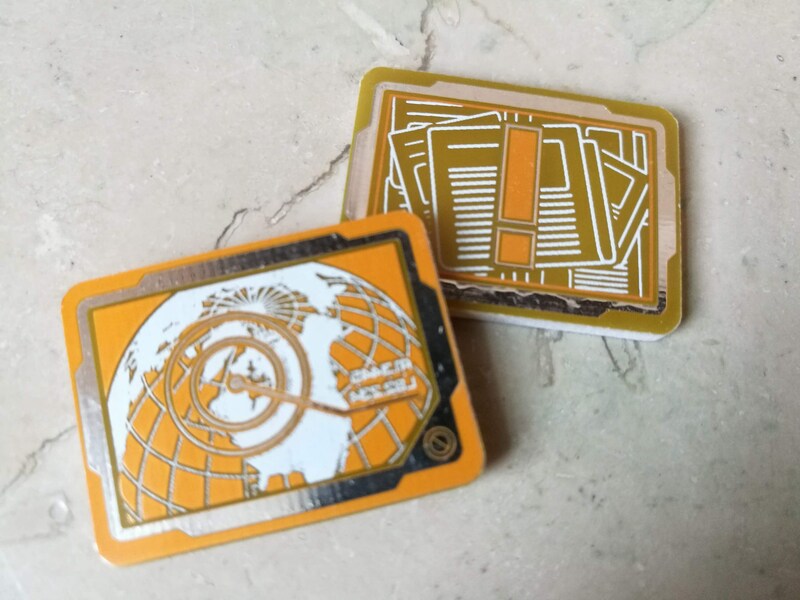 After being blown away by the quality of the previous netrunner tokens, I am so glad these were made! 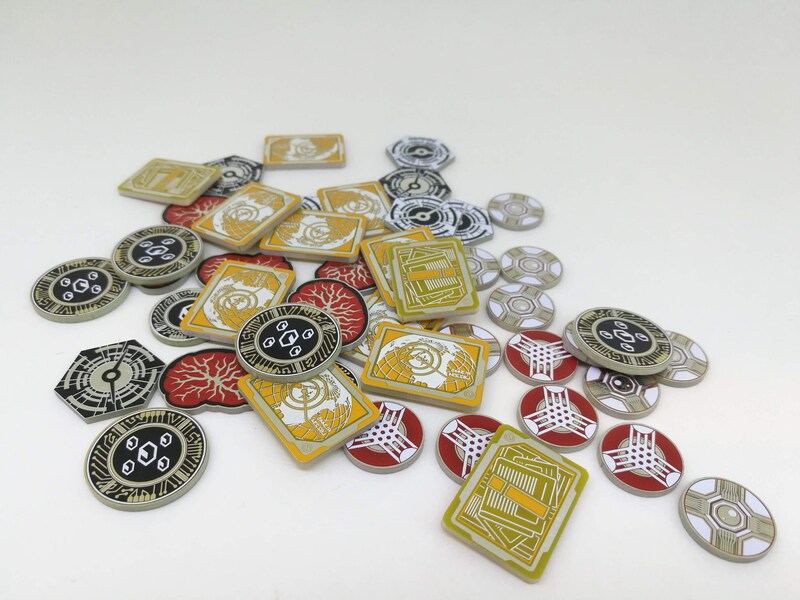 These tokens are just as amazing in quality and design as the others and have only added to our groups gaming experience! Printed circuit board is clearly the most cyberpunk medium on which to inscribe.... anything. Great tokens. Look great. Feel great. Are... shiny. 10/10 would recommend to anyone. Good quality, lovely design almost makes taking a tag a joy. 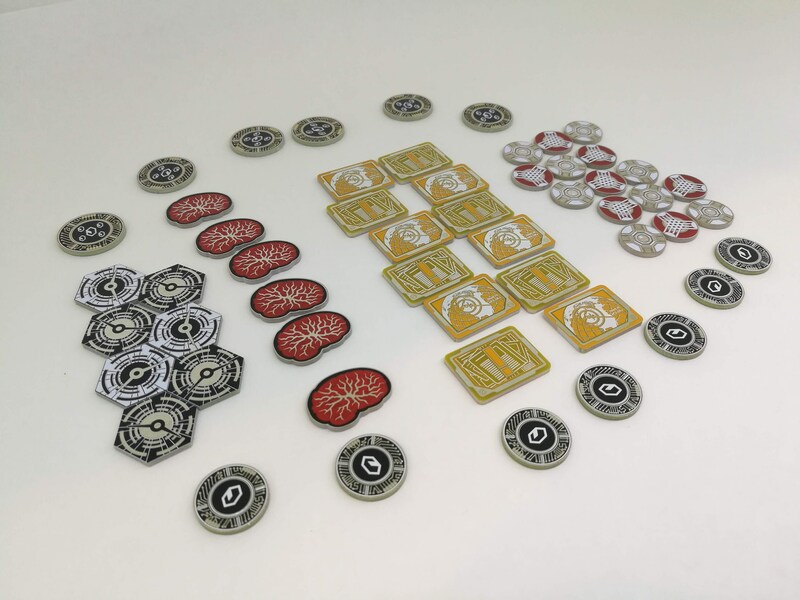 A great replacement for the stock cardboard tokens. Solid but not heavy with great artwork. Shipping was fast and he promptly answered my questions. Highly recommend!